Detox, Restore, Hydrate with AA Skincare’s Plant-Based Natural Skincare Range. - Amphora Aromatics Ltd – Supplier of pure essential oils and aromatherapy Products. , AA Skincare, has picked out a few firm favourites from its range – from deep cleansers to intense hydration creams and gels. Affordable and high-quality, the plant-based selection is formulated using 100% pure essential oils, from one botanical source. Free from parabens and artificial fragrances, the range is available from www.amphora-retail.com. Tel: 01179047212. Prices start at £5.95 for a 250ml Cedarwood & Peppermint Shower Gel. Frankincense & Rose Deep Cleansing Face Mask – the perfect New Year skin detox. Give skin a treat with a weekly, beauty-boosting facial. 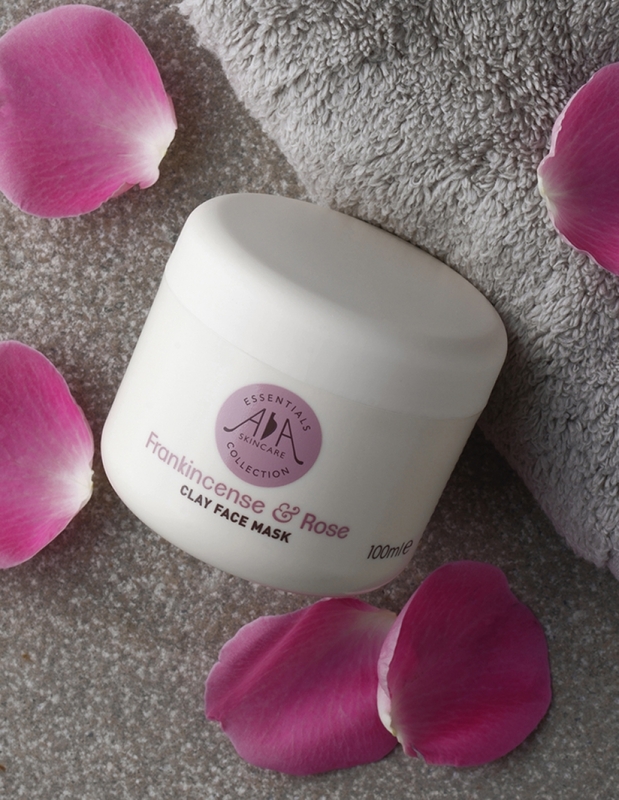 Featuring AA Skincare’s best-selling combination of rejuvenating Frankincense and hydrating Rose, this clay mask is packed full of natural ingredients, such as Palmarosa essential oil to promote healthy cell growth and antioxidant-rich Marula essential oil to help protect skin from environmental damage. Also in the mix is Dead Sea salts and Rose Geranium to help soften and moisturise skin as well as treat any redness. Pick up a 100ml pot for just £7.98. Rejuvenating Rose Hydrating Face Gel – a health drink for the skin. This vegan-friendly gel is the perfect pick-me-up for dry complexions, gently hydrating and replenishing tired skin. Used daily it can help slow down signs of ageing such as pigmentation, fine lines and small wrinkles. Light, refreshing, quick to dry, non-sticky and suitable for all skin types, it is packed with soothing and rejuvenating ingredients such as Comfrey, Rose Geranium, Lavender and Carrot Seed Oil. Simply smooth on the face for an instant refresh, moisturise after if your skin is particularly dry. All yours for just £6.96 for 50ml. Rosemary & Olive Deep Cleansing Oil – a multi-purpose tonic for post-party skin. Soothing and deep cleansing, this multi-purpose face oil, which works equally well as a nourishing makeup remover, a soothing tonic for irritated skin or to help calm red patches. Helping keep skin supple as well as calm, the oil is made from Rosemary essential oil blended in Olive oil, rich in skin-loving antioxidants, vitamins and minerals, featuring a mild and enchanting herby aroma. A steal at just £7.94 for 150ml. Neroli & Aloe Moisturising Face Cream – a rejuvenating daily moisturiser. Winter skin will soak up this hydrating mix of Neroli Oil (Bitter Orange Blossom) and refreshing Aloe Vera - both working to uplift, refresh and renew skin tone. Non-greasy, with regular use, can help smooth wrinkles and tone all skin types, as well as help, reduce stretch marks and the signs of ageing. Particularly good for sensitive skin. Dry skin will also benefit from soothing Lavender and vegetable glycerine to help hydrate skin. Features an earthy aroma, with a hint of sweet citrus. A lovely Winter treat for just £7.98. Bergamot & Chamomile Face Lotion - help soothe redness and calm skin. Gentle, refreshing and soothing, Bergamot and Chamomile is the ideal mix to help balance oily skin prone to breakouts and acne. Light and easy to use, it also features calming Lavender and nourishing Grapeseed oil to help soothe and calm inflamed and irritated winter skin. Vegan-friendly, the cream has a subtle, fruity aroma with an earthy finish. Yours for just £6.96 for 100ml. 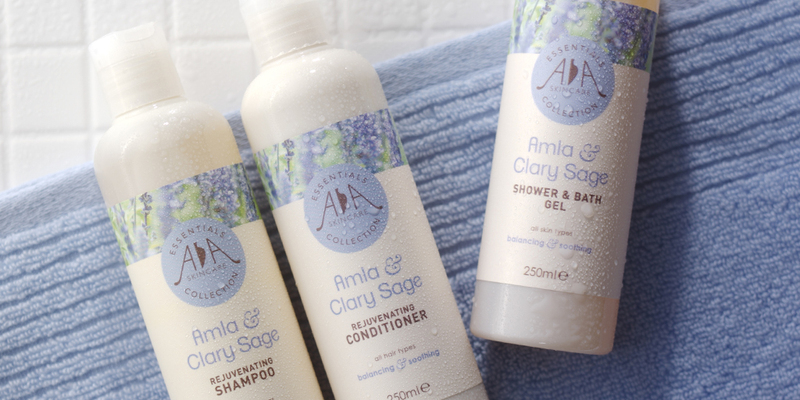 Amla & Clary Sage Shampoo – a nourishing boost for New Year hair health. One of five, plant-inspired natural shampoos featuring holistic, Ayurvedic herb powders to boost hair health, this nourishing and balancing shampoo will naturally cleanse and protect all hair types. Featuring vitamin C rich Amla (Indian Gooseberry), Clary Sage and Bhringraj powder to help strengthen roots, the addition of Cedarwood Atlas oil helps naturally protect against scalp irritations as well as helps to minimise hair loss. Lemon oil adds shine and balance and Grapeseed oil helps lock in moisture. Why not try the conditioner too, both are just £5.95 for 250ml. Cedarwood & Peppermint Deep Shower & Bath Gel – get set to go with this invigorating blend. An instant refresh for the body, this vegan-friendly, invigorating, naturally antimicrobial body wash and bath foam is the perfect pick-me-up for winter-weary skin. An energising mix of Cedarwood Atlas oil works with Peppermint oil to purify and reduce skin irritation. Packed with nourishing ingredients such as Brazil Nut Oil, Eucalyptus and Murumuru Seed Butter to help gently cleanse and protect skin. Get yours for just £5.95 for 250ml. National Recognition For Bristol’s Amphora Aromatics In Natural Beauty Awards.